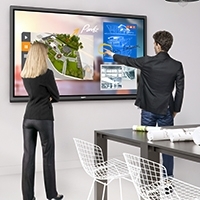 Check out the best choice for your classroom! Built with 3000 ANSI lumen brightness, 5500:1 high contrast ratio, and XGA resolution, BenQ‘s MP575 offers top quality projection even under ambient lighting. The BenQ MP575 DLP® projector also features a filter-free design and is virtually immune to color decay which saves you money! 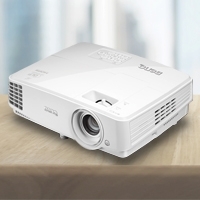 BenQ projectors that use DLP® technology are virtually immune to color decay – the yellow/green tint that some projector images develop over extended periods of usage. This is one technological advantage that you'll get to enjoy - year after year! 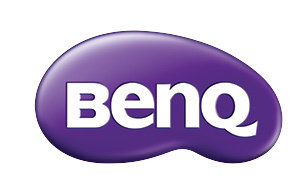 BenQ MP575 DLP® projector features a filter-free design which could reduce the need for filter cleaning and filter replacement. This reduces the labor as well as the budget for filter maintenance and replacement. The MP575 comes with XGA native resolution up to 1024 x 768. This brings you crisp and accurate images in your every presentation! A high 5500:1 contrast ratio means fine details and subtle color differences are rendered vividly even in darkly lit scenes. When the picture is sharper, cleaner, and easier to read, you'll find your audience much better focused. Featuring BrilliantColor™ Technology, the BenQ MP575 DLP® projector delivers true-to-life images with enhanced secondary color brightness for your visual enjoyment! Don't worry if you don't have a projector screen at home! 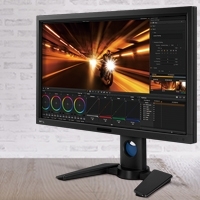 BenQ has studied the most commonly used paint colors and developed easy-to-use Wall Color Correction Technology so that you can project anywhere and still get the precise color performance you need. Have you ever missed a funny line during a movie because your companion starts talking to you mid-scene? With the MP575 short throw projector, you can get subtitles even when you’re watching TV! You’ll never have to miss a line again! With built-in 2W speaker with the MP575, not only do you get the vivid visual performance, you get the same audio satisfaction, too! Whether you're teaching or giving a presentation, getting your ideas across will be much easier with an ultra low noise of 28dB! Everyone will be able to hear what you have to say loud and clear.